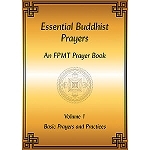 This edition contains the same prayers and practices as the previous volume, with the addition of a few very powerful mantras included at the request of Lama Zopa Rinpoche. 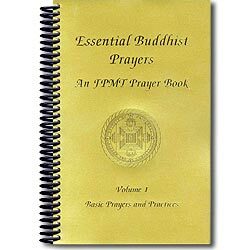 In addition, incorporating Rinpoche’s suggestions with feedback from FPMT students, directors, and spiritual program coordinators, we have created a prayer book that is lighter and easier to use. 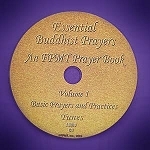 We combined Tibetan phonetics and English translation in a line-by-line format that allows the practitioner to chant in Tibetan and meditate on the meaning simultaneously. The cumbersome tab system has been replaced with consecutive page numbers and a complete index. As in all our publications, we have switched to new fonts personally selected by Lama Zopa Rinpoche. 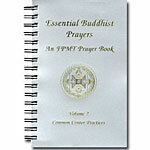 Long Life Prayers – includes prayers for His Holiness the Dalai Lama, Lama Zopa Rinpoche and Osel.